Mark your calendars for July 11, 12 and 13. This is the time to learn new techniques and see all the ideas made into beautiful projects. 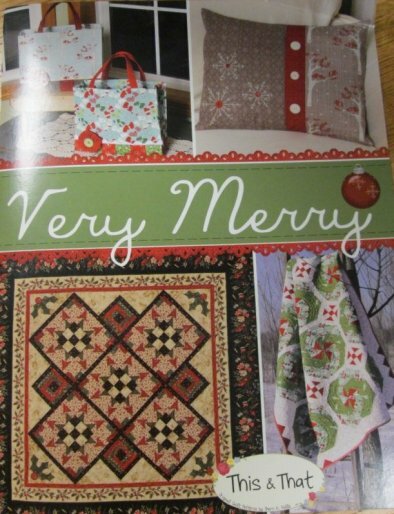 We know that you are anticipating seeing all the new fabric made into beautiful quilts, purses, wallhanging and table runners so we asked Santa to send his elves early this year. The elves are here enjoying the beautiful weather and since it has been so windy they saved a little fuel and asked us to pass that savings on to you during Christmas in July. Come enjoy a night out starting at 6 pm on July 11th for our schoolhouse extravaganza. We promise NO homework! We won't be taking roll so grab a friend and let us help you plan your 2013 gift list. (but don't forget to make something for yourself). Enjoy some light refreshments while you learn the new techniques along with seeing the new patterns, books and fabric. Definitely something for everyone! Here are a few projects of what is to come for the Christmas in July! Perfectly Imperfect! 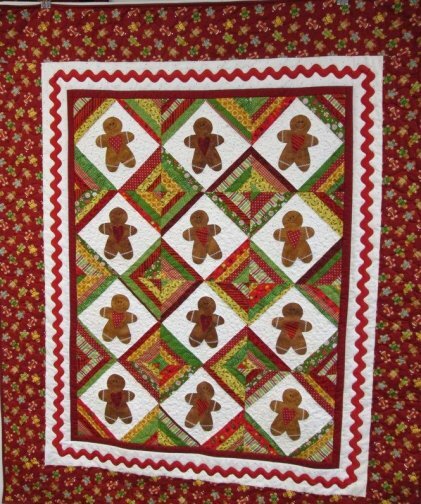 This quilt can be made for all seasons. Just switch out the applique in the middle and you have a new quilt. 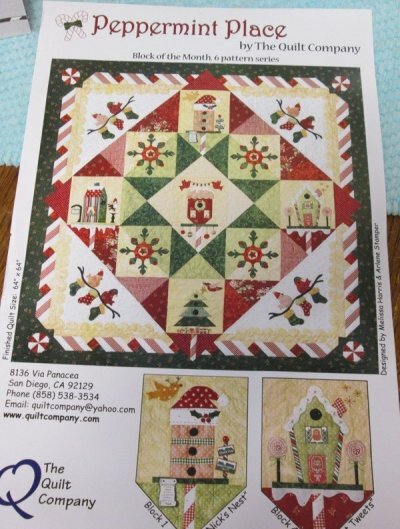 A great quilt to use up your scraps and fat quarters. Cherry Cioppino has an eclectic look. The piecing is simple. Great for today's large scale prints or any prints you are dying to work with. 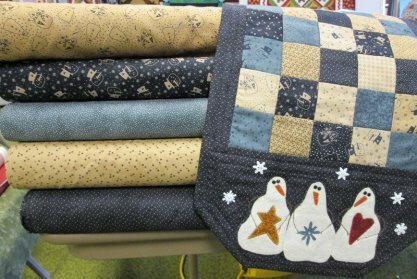 Here is a simple snowman table runner made from charm packs. 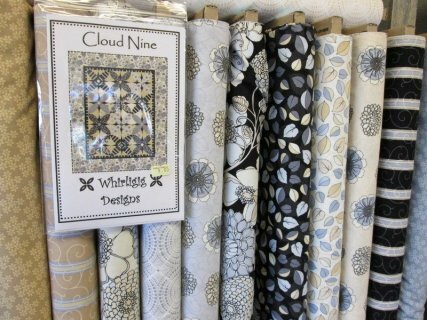 This Cloud Nine pattern looks complex but is an easy applique pattern. These fabrics would make a great quilt. With so many projects begging for some embellishment, these can really jazz it up. 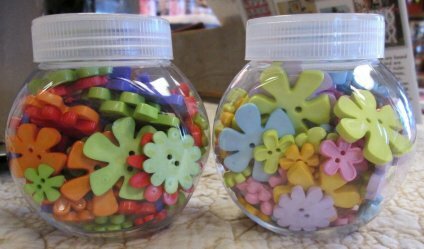 They are also cute in your button jar! 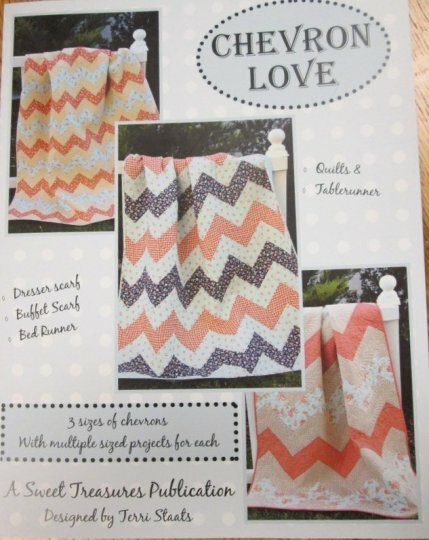 Chevrons.... such a popular design in everything right now! Get Hooked! 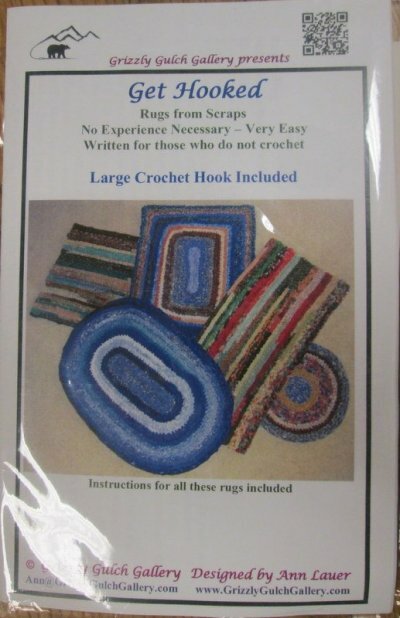 Rugs from scraps. No experience necessary. Very Easy! 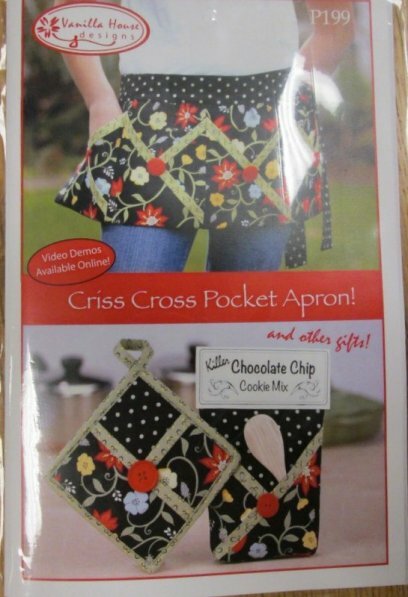 Criss Cross Pocket Apron. 3 projects featuring criss cross pockets. A darling utility apron, a handy oven mitt and a delicious Chocolate Chip Cookie-Mix-in a Bag! Very Merry. Patterns for pillows, table runners, bags and quilts. Something for everyone. 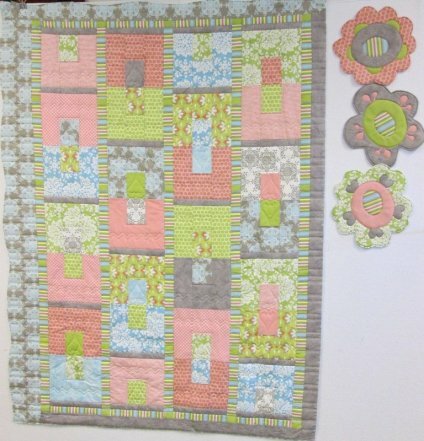 Are you ready to get started with the Pepperment Place Block of the Month? We have the patterns and the kits are getting made! Are you needing a little time with your friends to get started with all the projects we have been showing you? Well, get some friends together and plan your QUILTING RETREAT! Have dinner, yummy snacks and lots of fun! Give us a call and schedule a girls retreat!